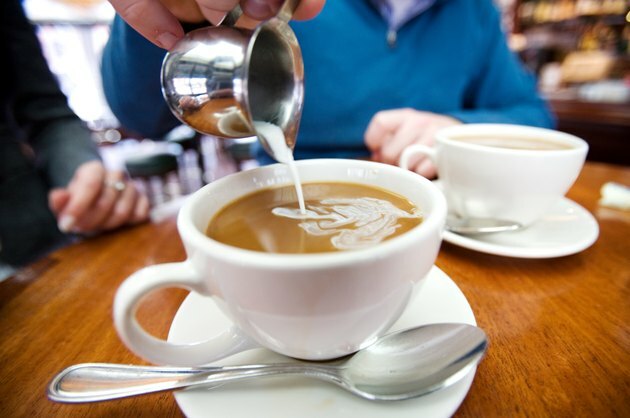 Coffee creamers are commonly packed with unhealthy ingredients such as hydrogenated oils, known as trans fats, sugar and artificial additives. Typically, these are thought to be healthier than other natural coffee creamers that may contain more calories and fat. The truth is that the trans fat in non-dairy creamers can raise your bad cholesterol, while lowering good cholesterol and increasing your risk for heart attack and stroke. Healthier options include coconut milk, real cream, whole milk or half and half. The coconut is a highly versatile food that can be used to make water, milk, oil, flour, as well as other foods. It is also a highly nutritious food, rich in fiber vitamins and minerals. More than half of the fats from coconuts are known as medium-chain triglycerides (MCTs) - a type of fat that is more likely to be burned off as fuel, rather than stored on the body. One 2010 study published in the "International Journal of Food Sciences and Nutrition" concluded that MCTs can increase fat loss and favorable alter body composition. 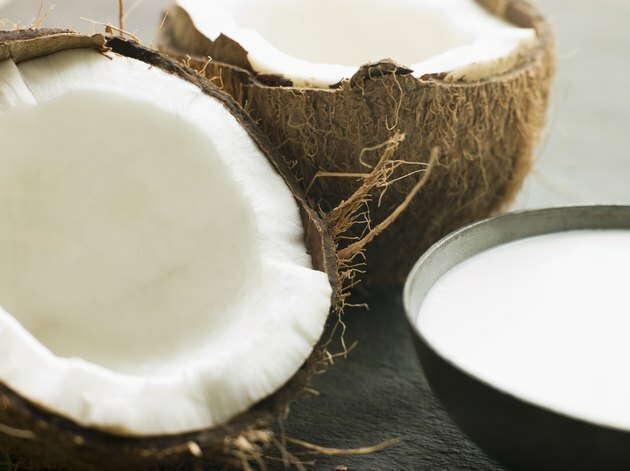 For those who want to avoid dairy, coconut milk provides a rich, creamy flavor without any of the lactose. Cream is made from the layer of fat that rises to the top of milk before it is homogenized. While cream is high in fat, when consumed in small doses it possess health benefits. In an article on Today's Dietician Karen Giles-Smith, M.S., R.D., notes that dairy foods, regardless of the fat content, do not increase the risk for heart disease, but rather promote health. A 2011 study published in “Nestle Nutrition Institute Workshop, Pediatric Program” reports that diary fats contain bio-active components including CLA (Conjugated linoleic acid) and Omega-3 fatty acids that counter balance saturated fats; a fact that little research has been conducted on. Whole milk is a rich source of protein that also contains fats, carbohydrates, vitamin D, B-12, and the minerals calcium, potassium and selenium. 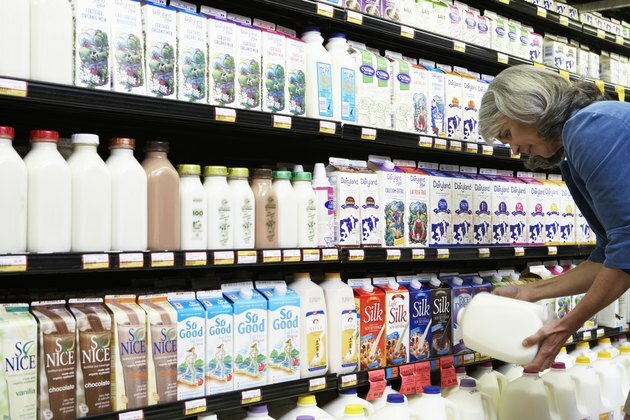 Michigan State University notes that there are various elements found in milk fat, milk proteins, and other components of milk that have the ability to promote and maintain health and reduce the risk of chronic disease. For those who want a creamier flavor than whole milk offers, but less calories and fat than pure cream, half-and-half, which consists of half cream and half milk, is a good option. How Many Calories Are in Coffee Cream?